In the very back of my first bird identification field guide (Audubon, green, Eastern US) there were several blank pages. Since neither the Internet nor eBird were even a thought, that’s where I collected the place names of my birding bucket list. Along with Hawk Mountain and the Platte River, there were two destinations in Texas near the top of the page – Padre Island National Seashore and the Rio Grande Valley. Specifically I was headed for the 797-acre Bentsen-Rio Grande Valley State Park; part of the World Birding Center. There are an additional 1,200 acres of surrounding protected refuge, supporting a documented 525 bird species! In the park proper, 358 species have been recorded. 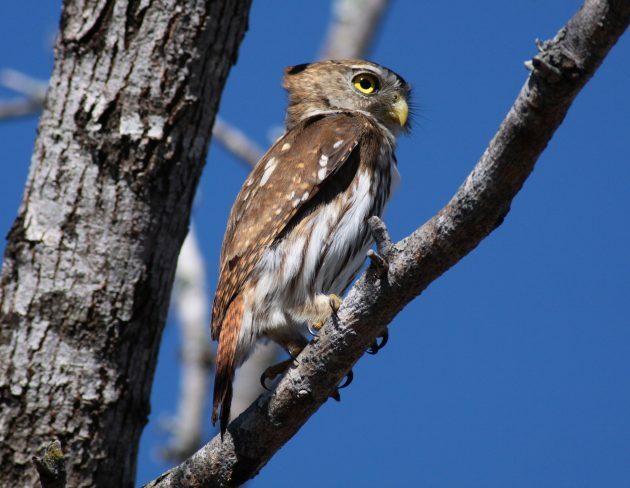 One of the highlights of birding in this Texas state park is the chance to see five owl species that breed here. 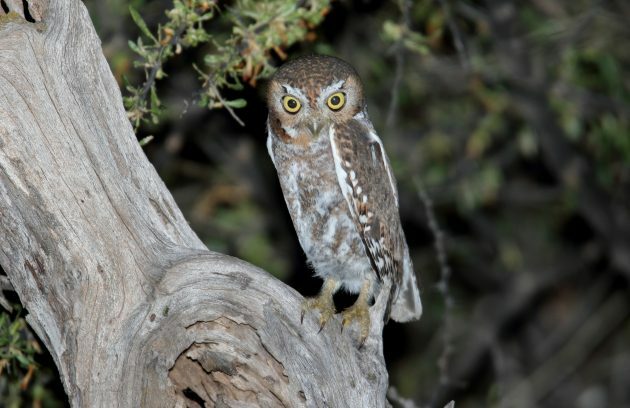 This is made even sweeter by the hope of seeing two extremely rare US visitors – the Mottled Owl and the Stygian Owl. Both of these have been documented in the Lower Rio Grande Valley. 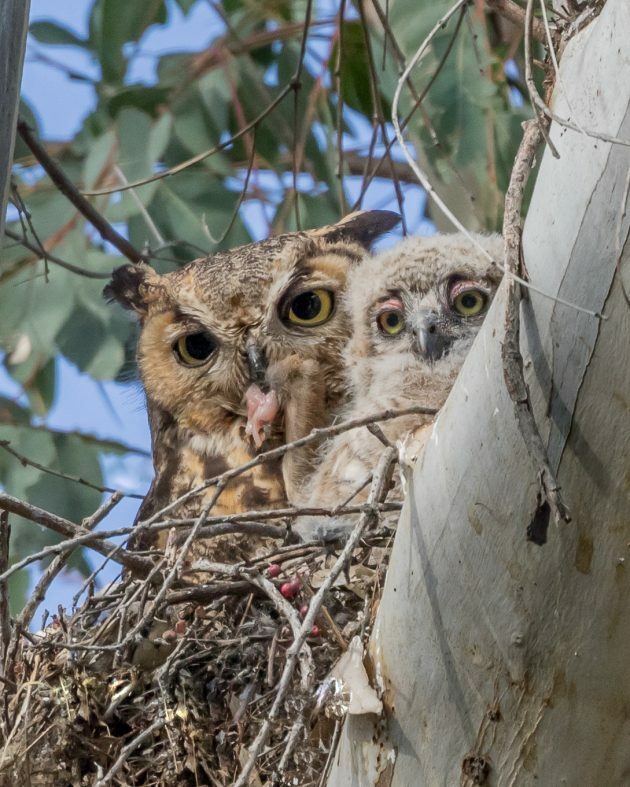 As I am only a word herder with miniscule picture-making skills, my favorite wildlife photographers have graciously shared their work with us. 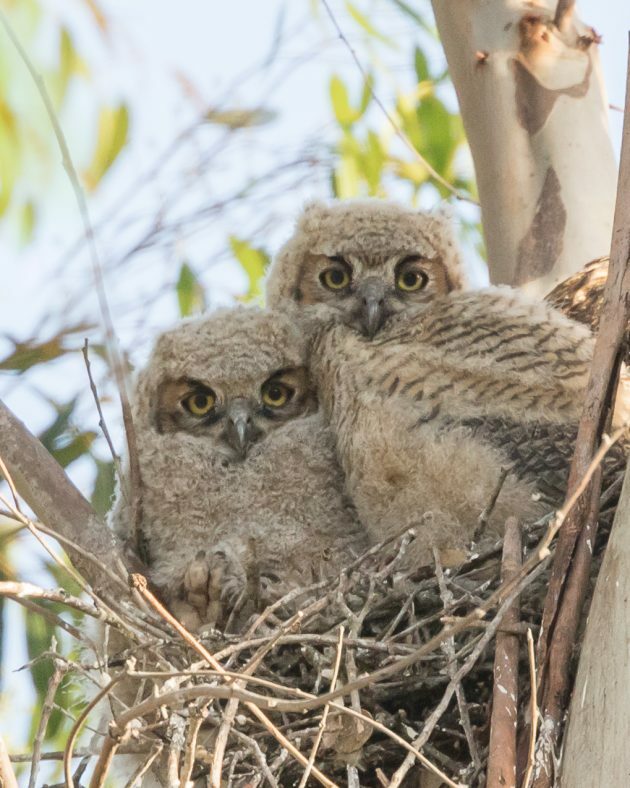 Let’s enjoy the owls of Bentsen-Rio Grande Valley, Texas. Specialty Sightings: Green Jay, Buff-bellied Hummingbird, Great Kiskadee, Altamira Oriole, Plain Chachalacas, Northern Beardless-Tyrannulet, and the two owls below (with a little luck!). 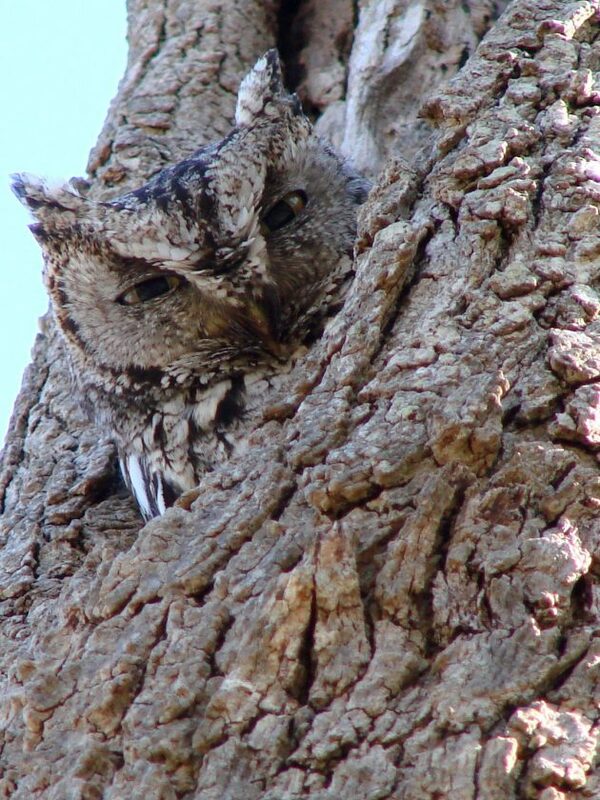 Look in the mid-level to upper branches of trees during the day for roosting birds. This species hunts at night from low to mid-level perches, such as fence posts, in open areas adjacent to forests and woodlands. Watch for this species roosting in shady and fairly open woodlands. 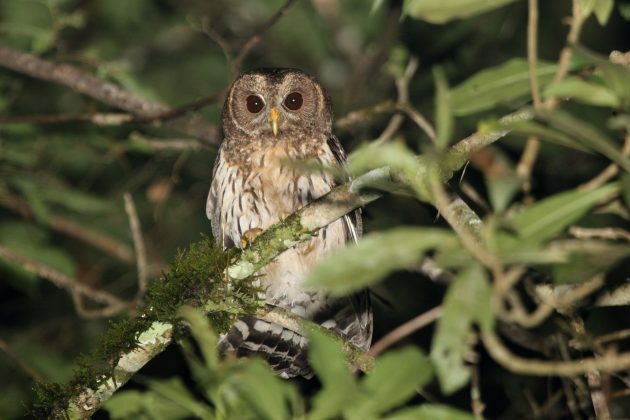 The Stygian Owl hunts the same type habitat as the Mottled Owl. Where to Go: There are many guided birding tours for exploring the Bentsen-Rio Grande Valley State Park. If you’re a wanderer, be sure to catch the view from the two-story observation tower; step inside the enclosed bird blinds; visit the birding wall; enjoy up-close sightings at the 10 stocked feeding stations; and put your feet on the seven miles of trails. Insider Tips: For trail exploration, there are two particularly excellent hiking/birding paths. The Rio Grande Hiking Trail at the eastern side of the park is a loop. The 1.9-mile trail wanders down to the river; perfect for leisurely viewing. A second hiking loop, the Singing Chaparral Nature Trail starts close to the entrance. It is a mile in circumference, and is a favorite of birders. You have my vote Angela! 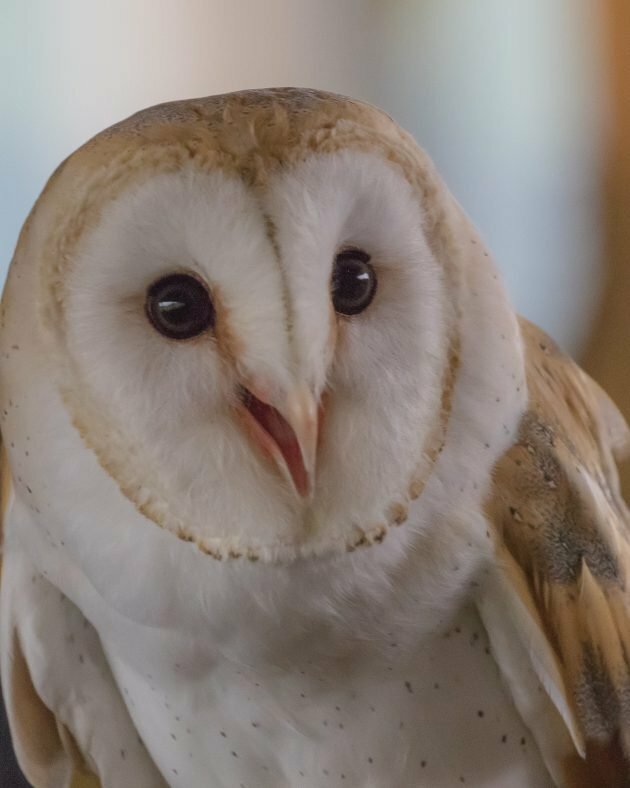 Owls are such beautiful birds. Because of my line of business, I’m often awake at night when people need help fixing a flat tire. 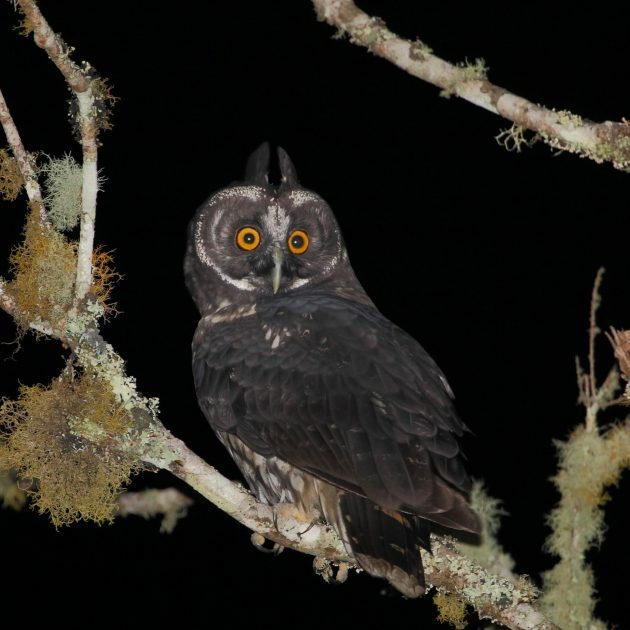 I love seeing and hearing the owls that come alive at night to go hunting and exploring.